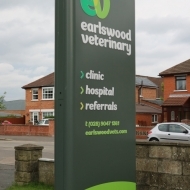 Our team here at Rainbow Signs are experts in totem signage with a wealth of experience in varied projects. 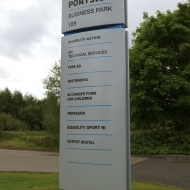 Not only do we offer a solution for a new totem sign but we can also refurbish your existing totem signage. 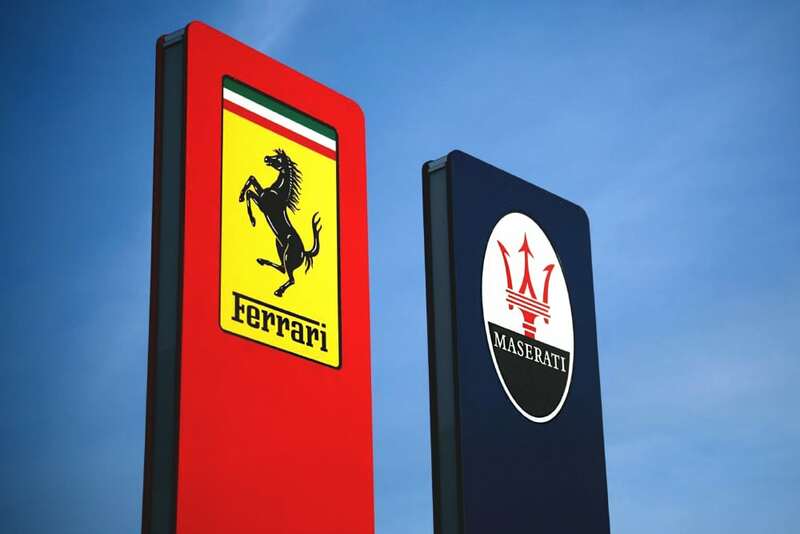 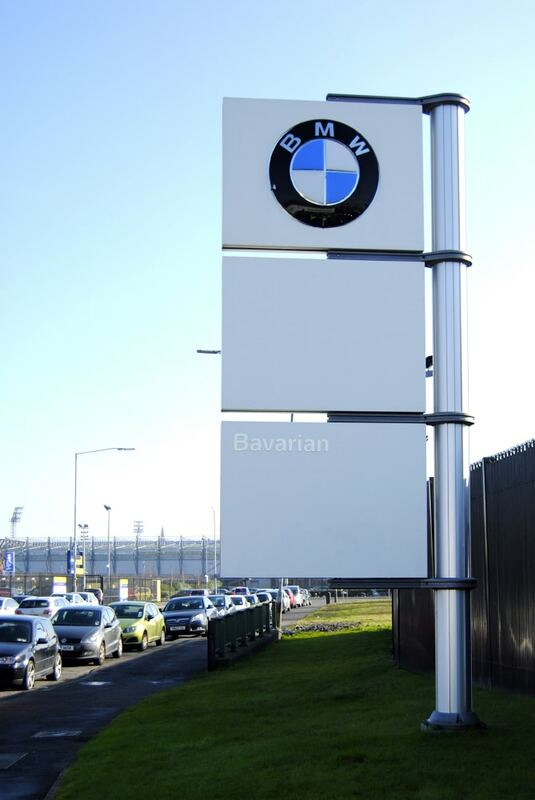 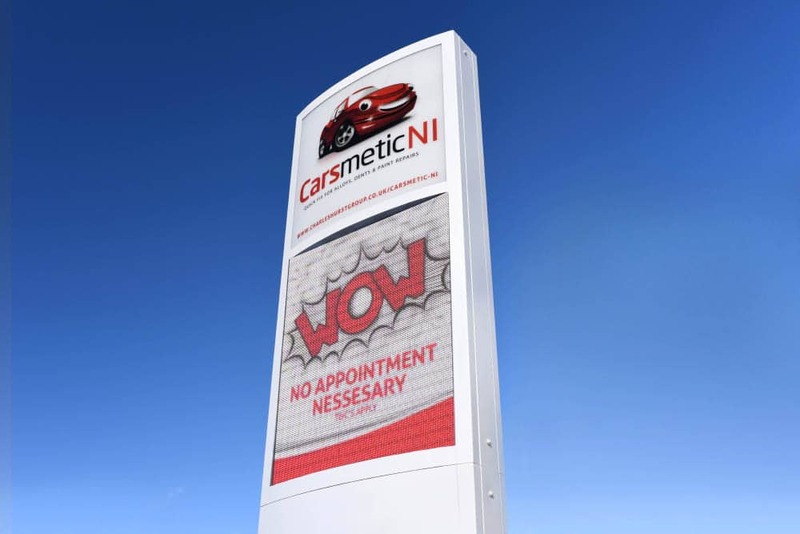 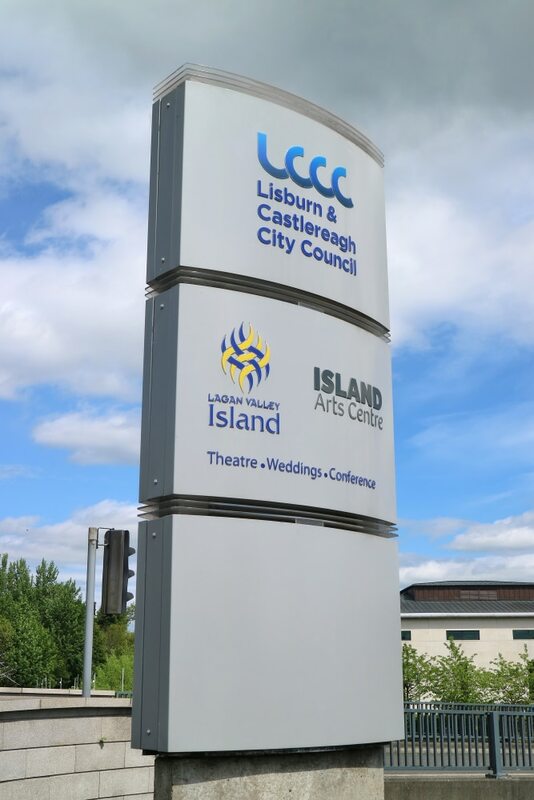 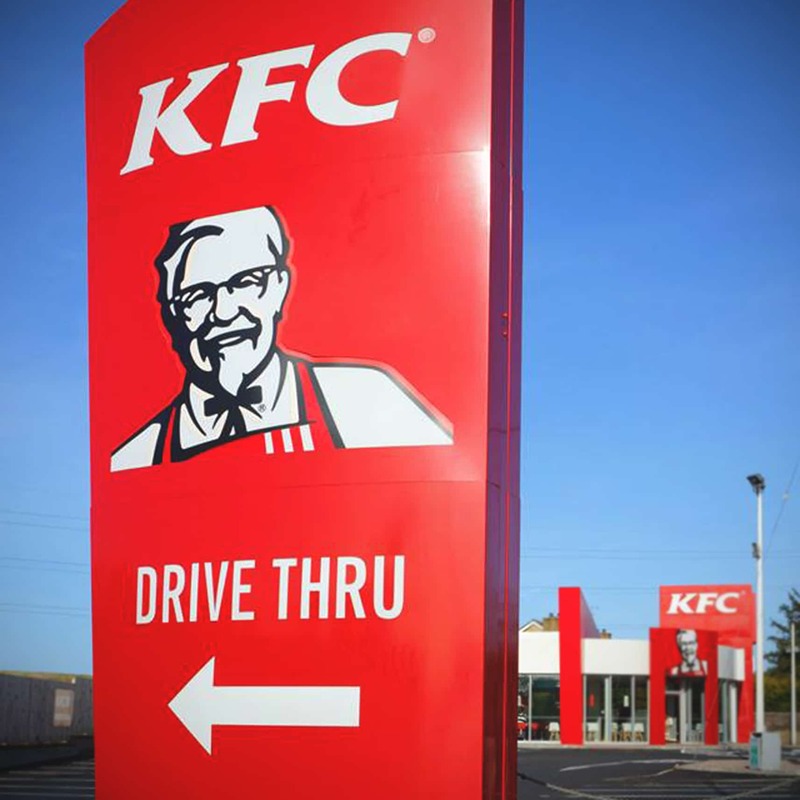 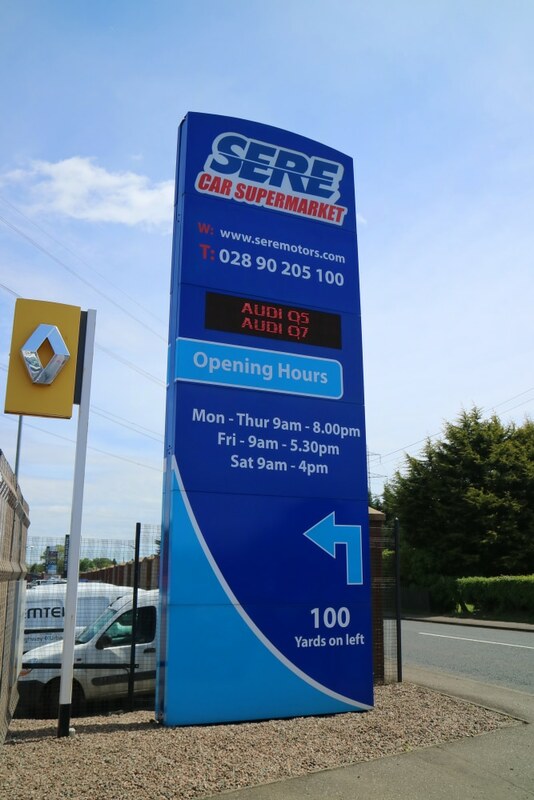 We offer technical advice and recommendations, for example totem signage can include illumination, LED screen displays, produced at any size including bespoke shaping to incorporate your brand. 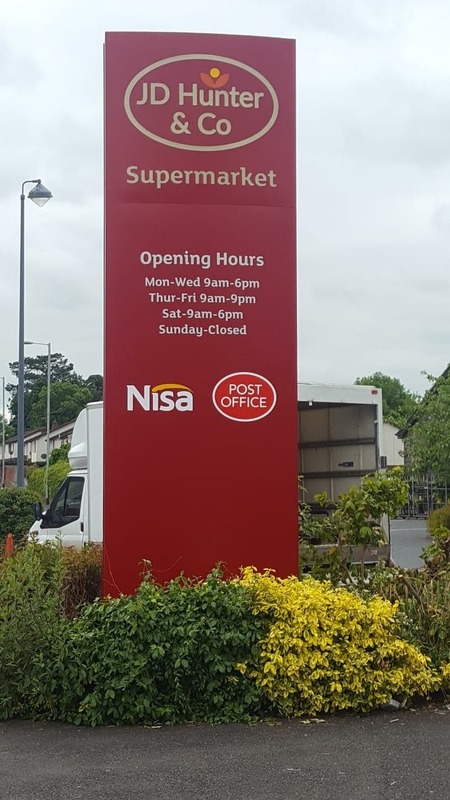 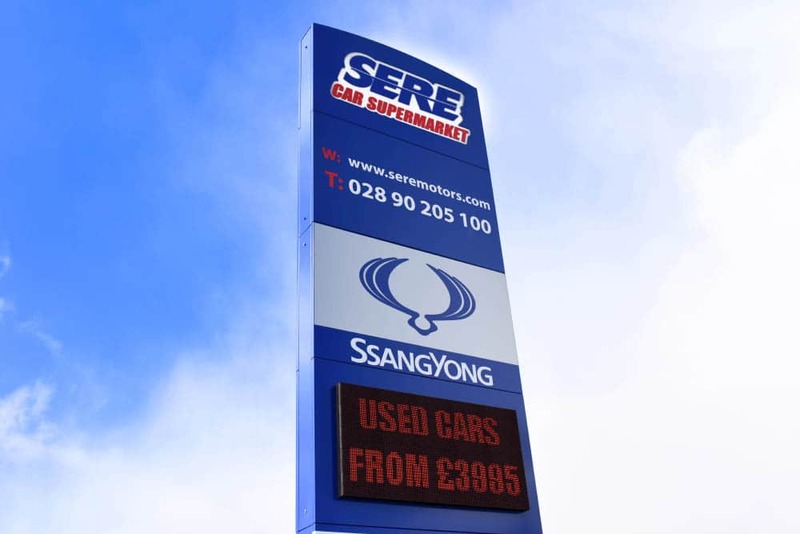 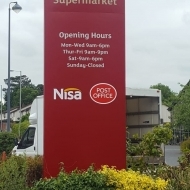 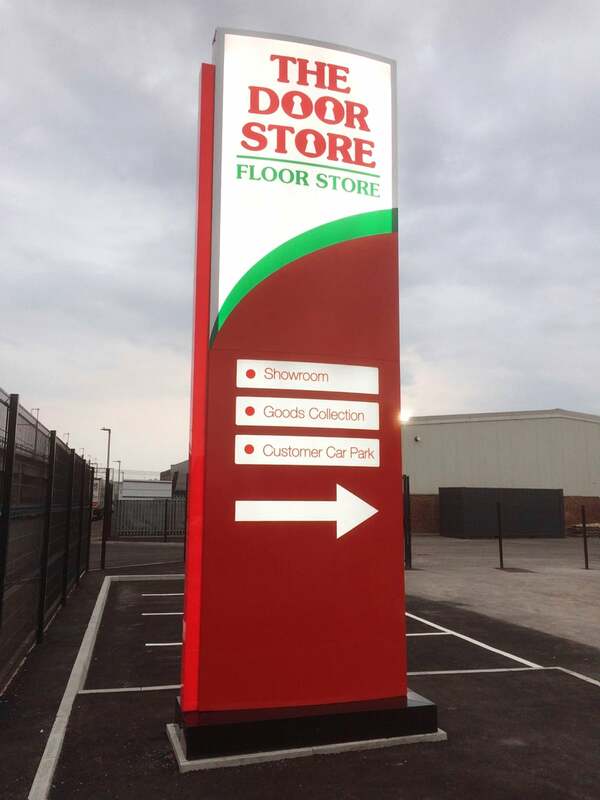 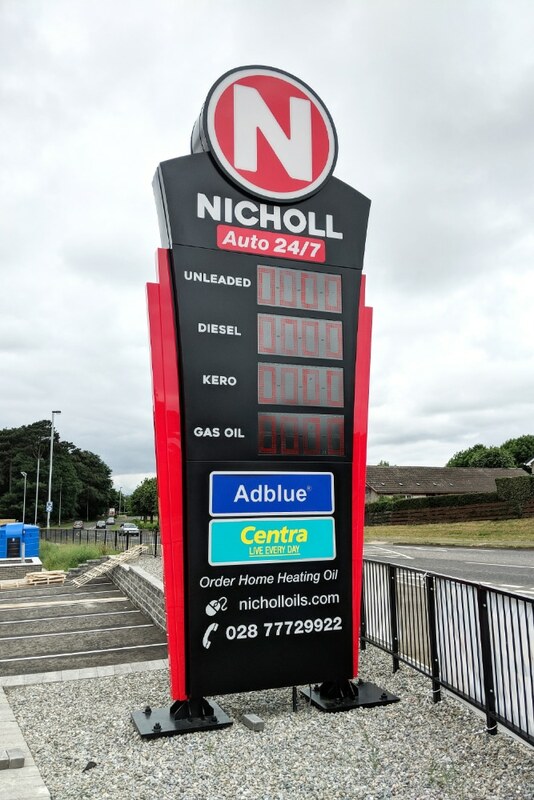 Totem signage is hugely popular within retail, perfect for displaying one singular company or hosting a complex of businesses. 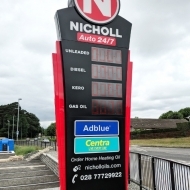 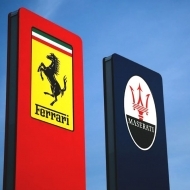 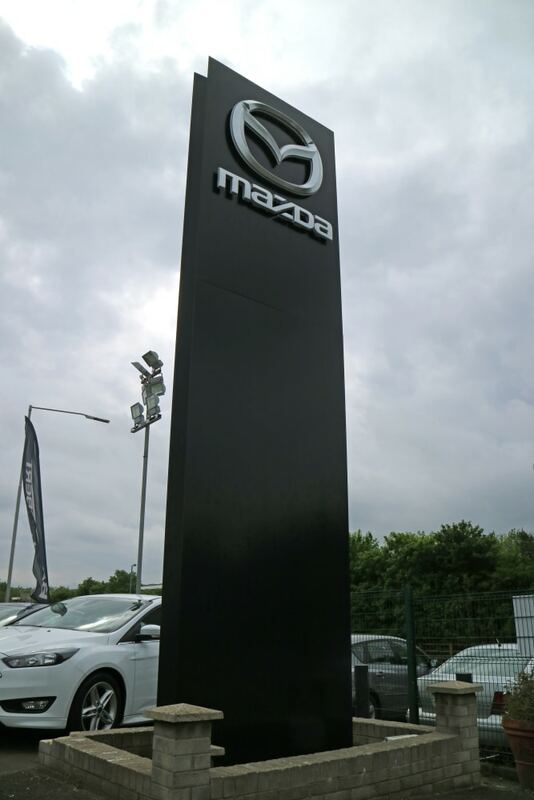 Totem displays can be great for both internal and external signage projects. 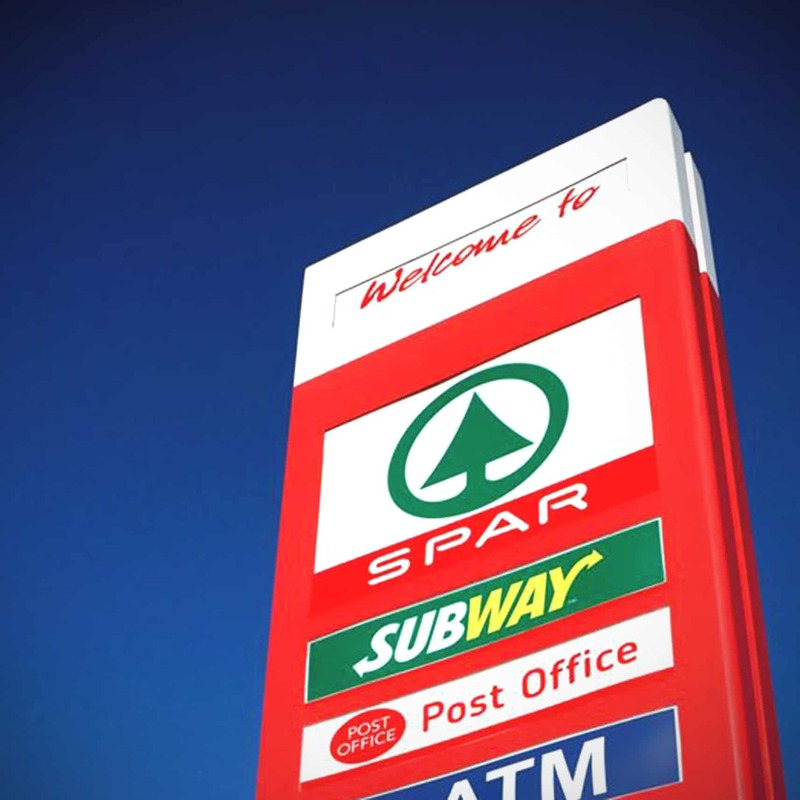 Interiors benefit from having totems installed as a wayfinding point, for example, beside a set of escalators in a shop to let the consumer know what is on each floor of your establishment. 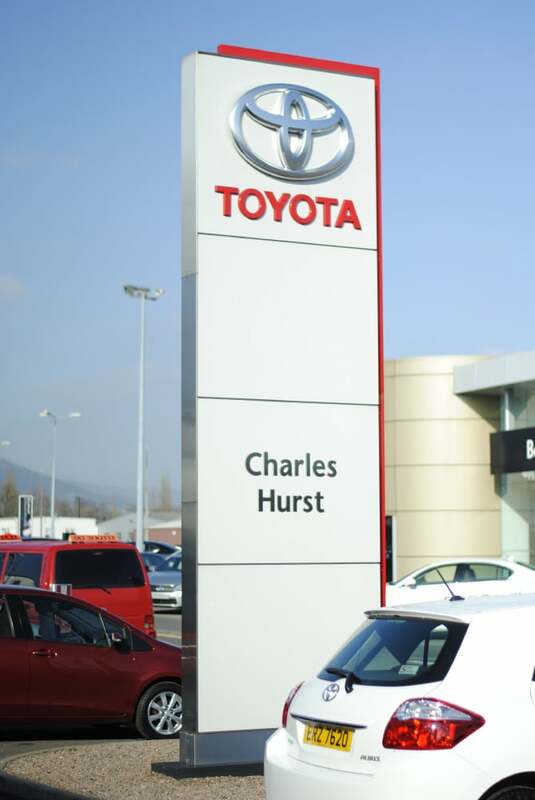 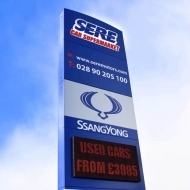 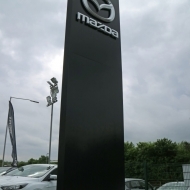 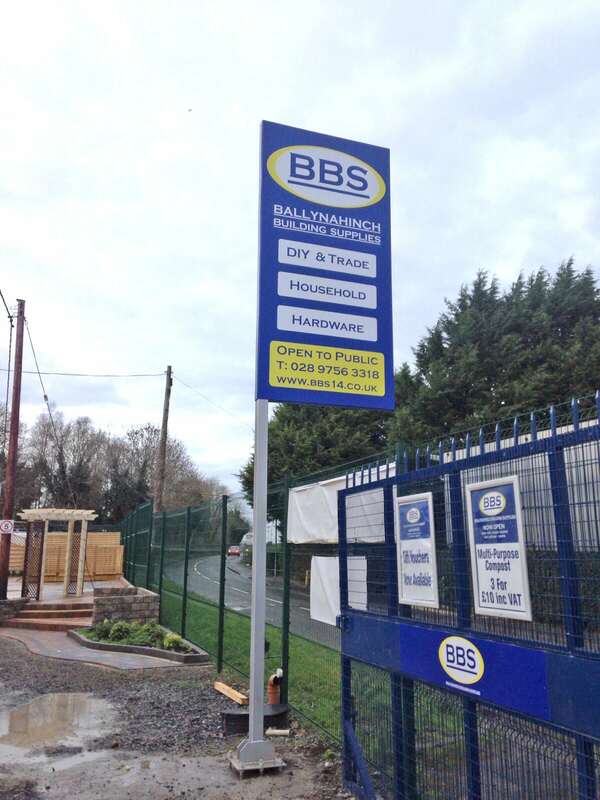 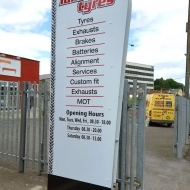 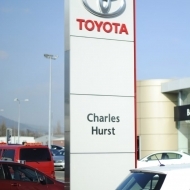 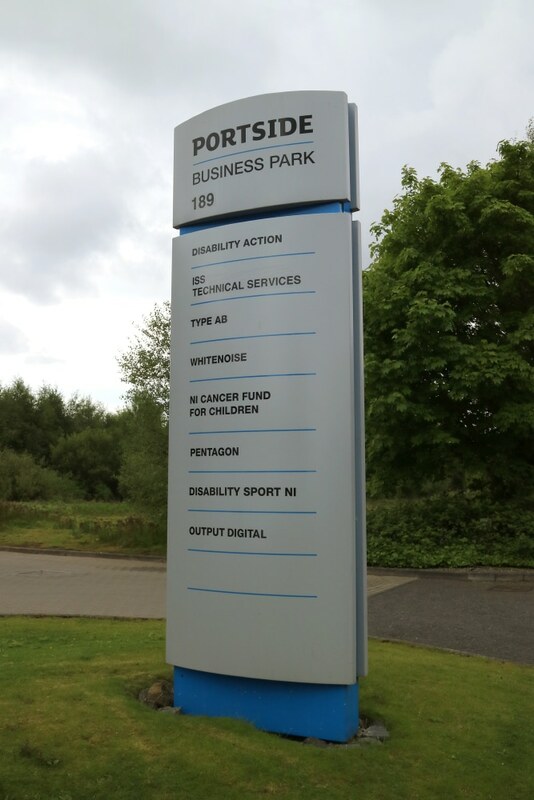 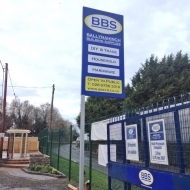 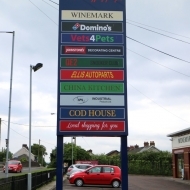 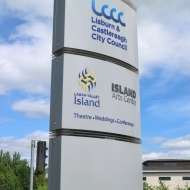 External totem signs are great for attracting attention to your company for all the right reasons. 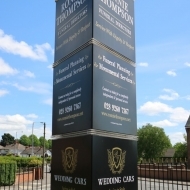 Our totem signs undergo a thorough process to ensure the end result is of the highest degree of professionalism. 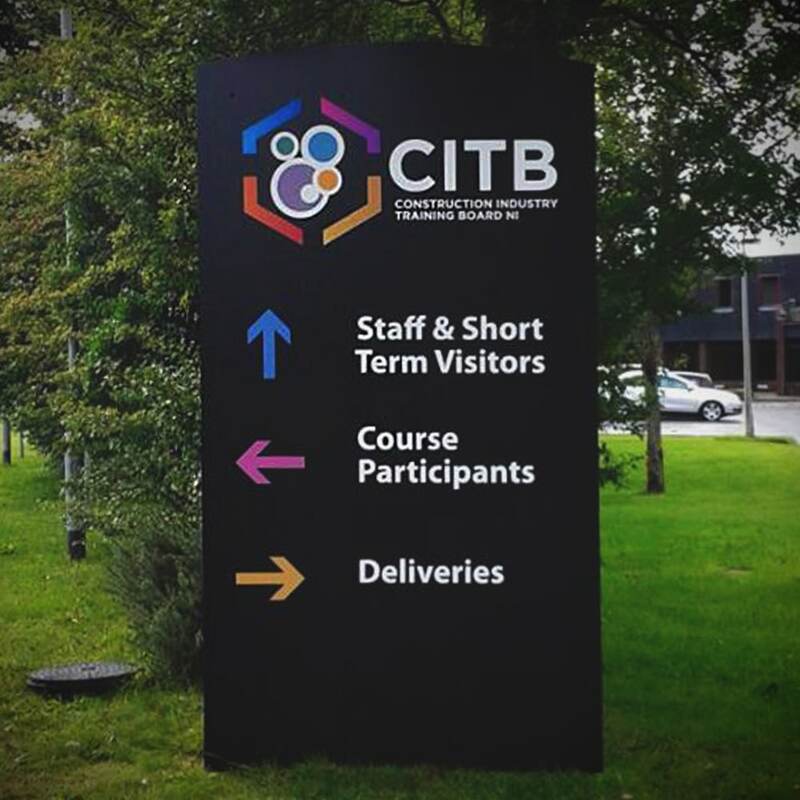 Unlike many other signage companies, we make our products in house to ensure the quality on each product is to our high standard and consistent with our company ethos. 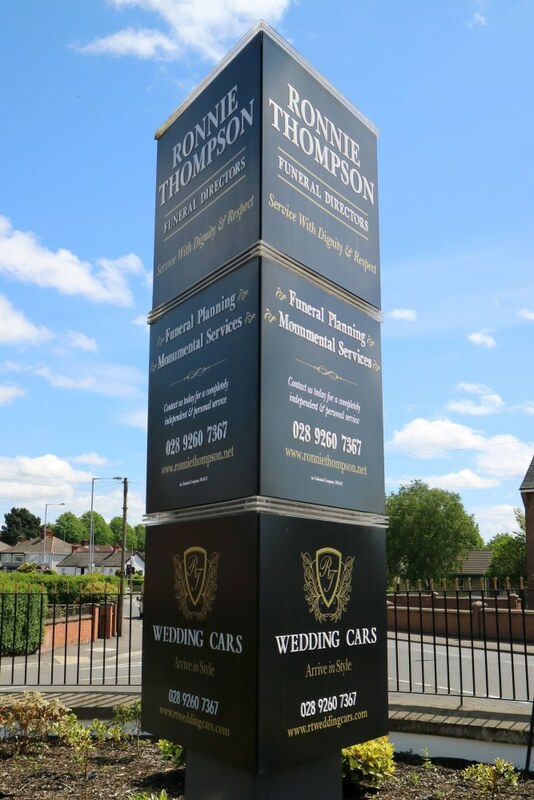 We can offer a full project management service to take care of the project from start to finish, including a site survey, design, installation and maintenance aftercare. 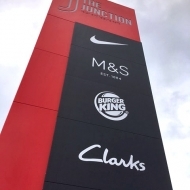 Create a positive first impression whilst effectively communicating your brand with the signage solution that is right for your business. 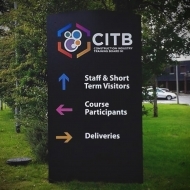 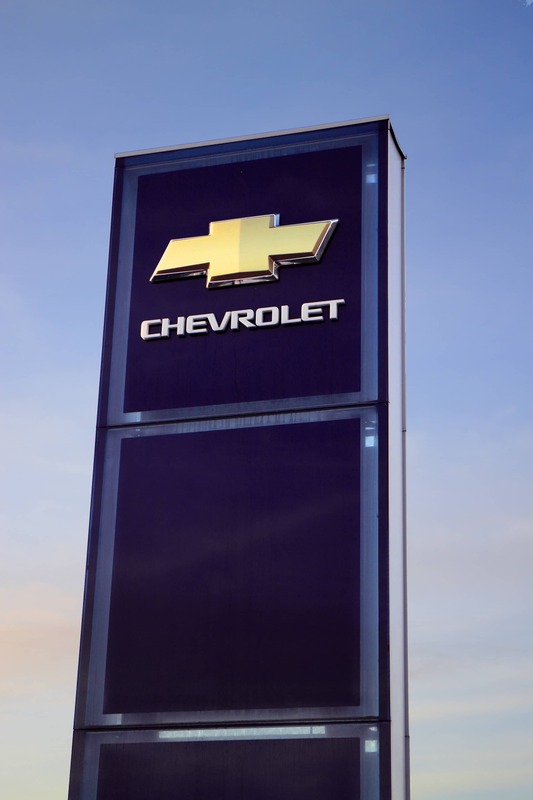 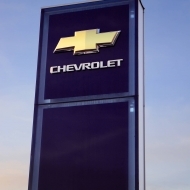 Bring your building to life with a unique signage concept which will intrigue your audience. 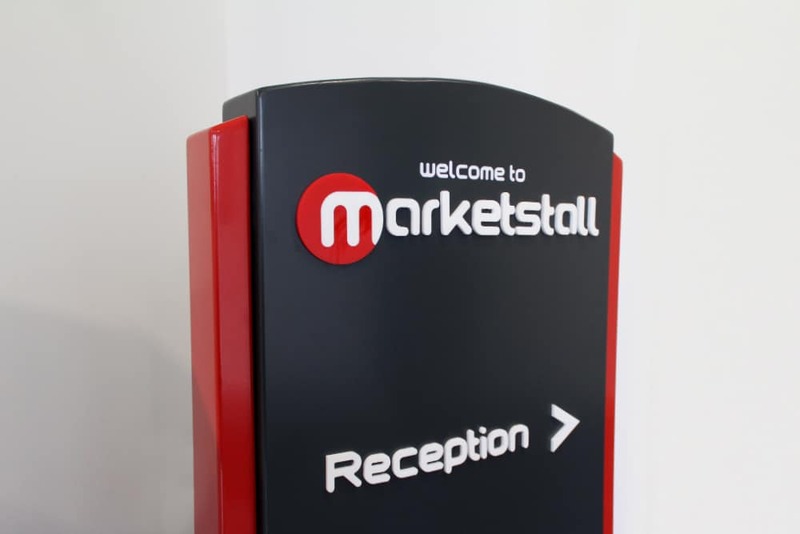 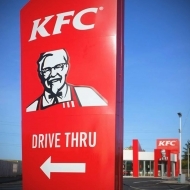 Our bespoke signage products are tailored for your business. 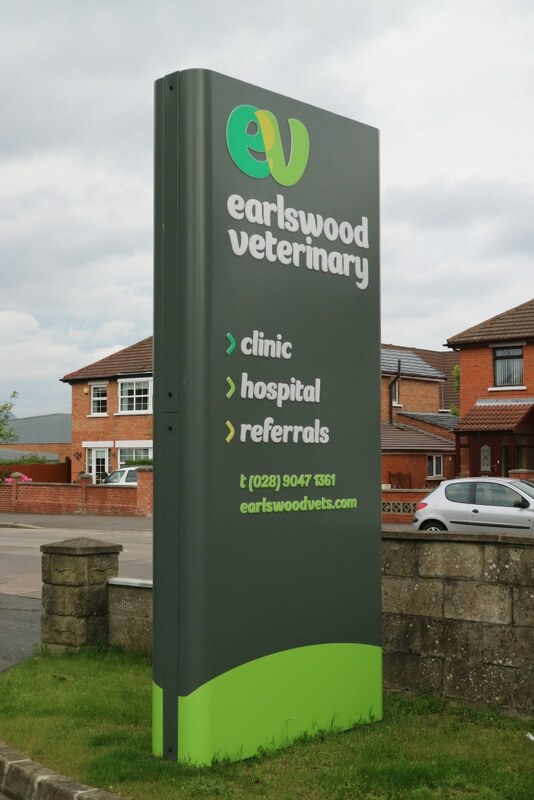 Make an impact with one of our freestanding totem signs. 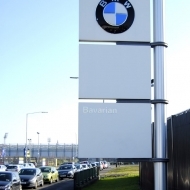 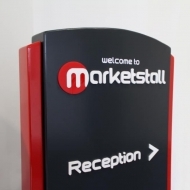 Catch the attention of passing trade with a customised totem sign. 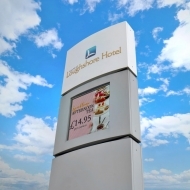 Make a feature of your internal signage, let it compliment your branding and building. 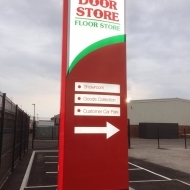 Our creative approach will make sure your signage stands out. 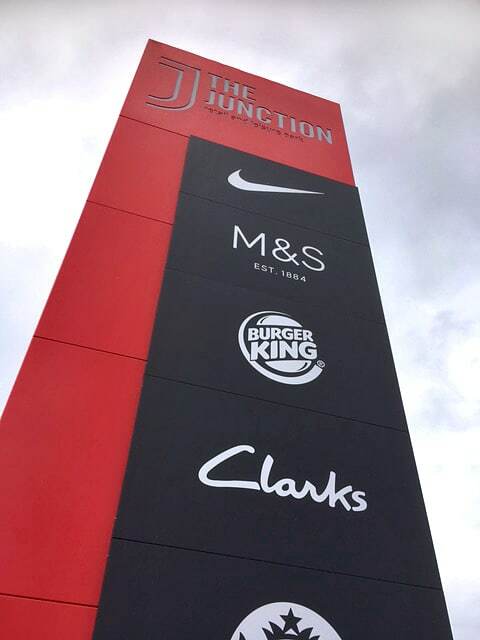 From lit signage displays to digital LED screens, we can provide your business with a range of exciting signage concepts. 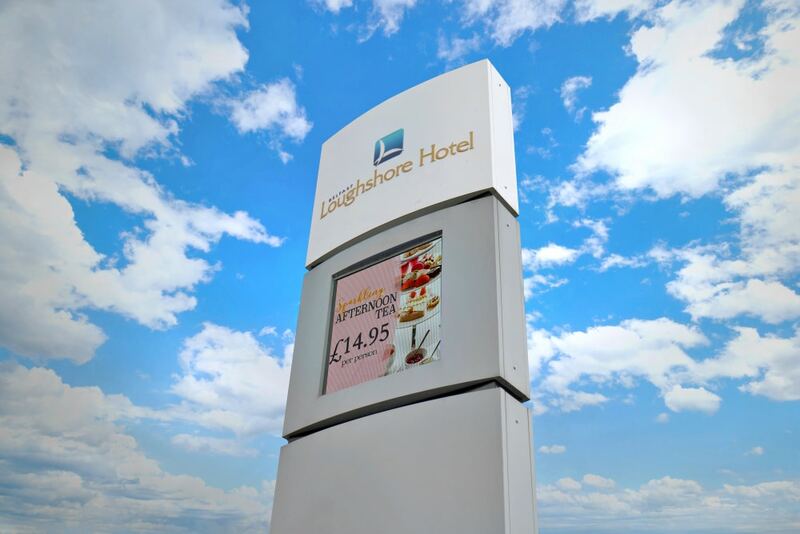 Reach thousands of people each day with our mobile digital LED trailers. 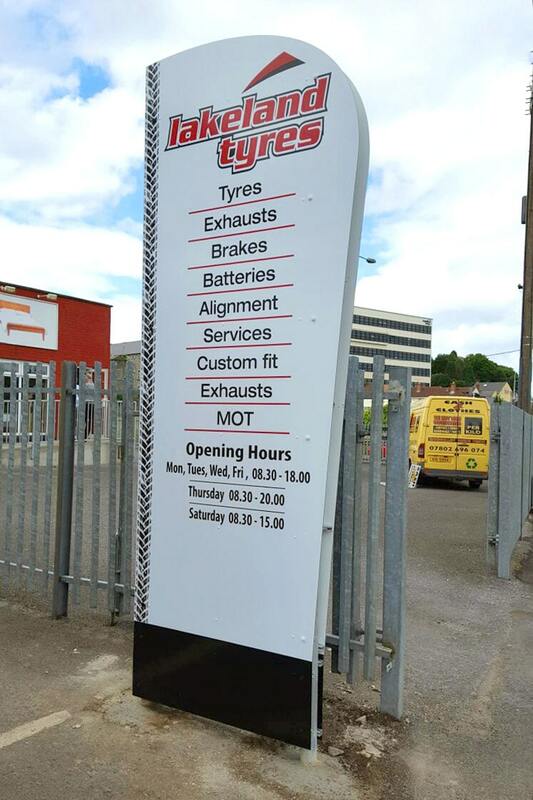 Our LED trailers are available for purchase and hire. 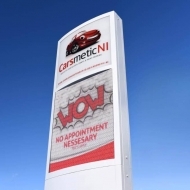 Strengthen your company branding with our window displays. 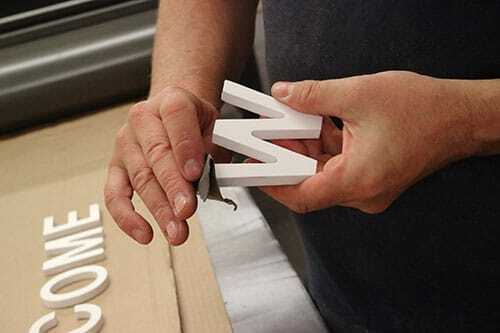 Our in house design team can create custom designs to suit you. 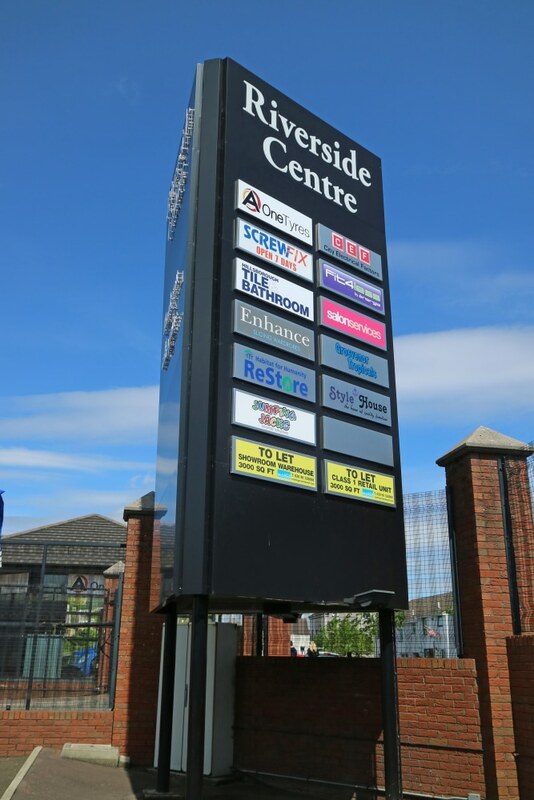 Transform your building with the help of our expertise. 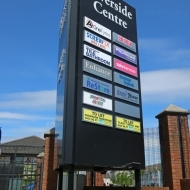 We can deliver a range of architectural engineering results. 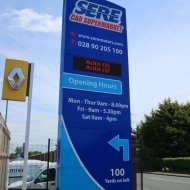 We are the experts in Signage, get in touch today for any advice or queries! 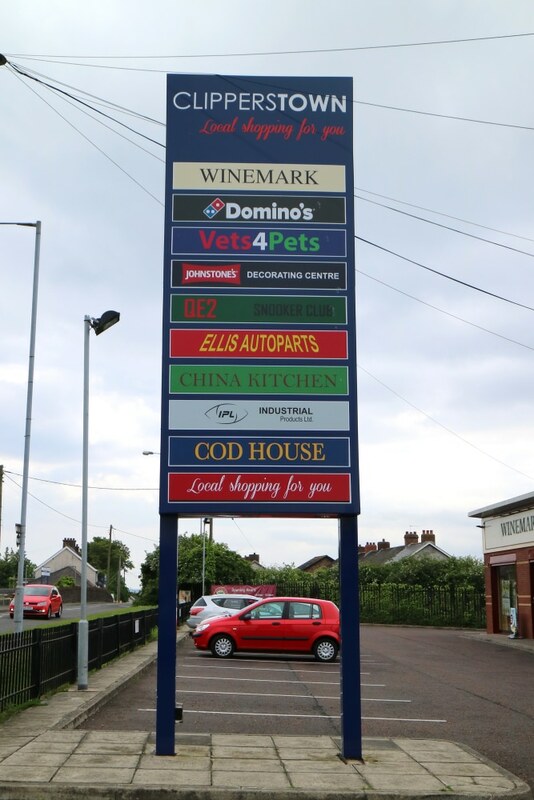 Copyright © 2018 Rainbow Signs | Site by Aztra Design.